I’m a bit obsessed with snorkeling. Have you ever tried snorkeling? 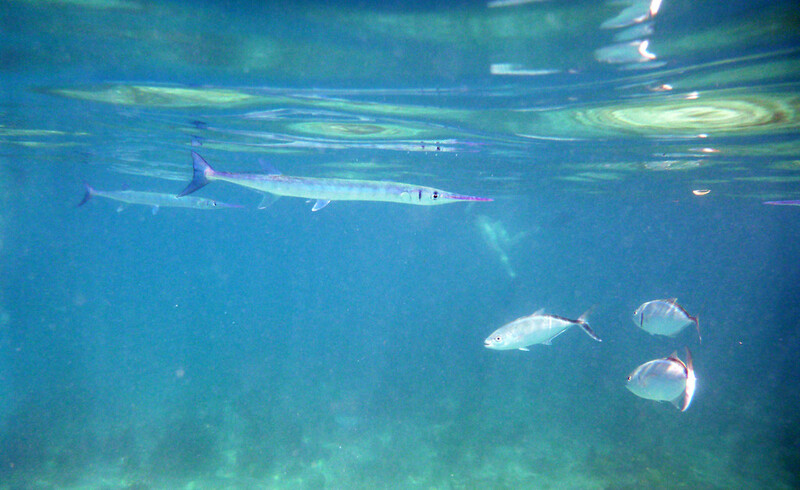 Every time I go to the Caribbean, I find myself taking a snorkeling excursion. There’s nothing like sticking your face under the water in a tropical destination. It’s a whole other world down there. While I’m sure some of you are thinking that it’s waaaaaay better to go scuba diving, I’m not scuba certified yet. I am a little scared to try scuba diving, which might seem silly to some. It’s more a fear of the unknown than anything. I know I’ll work up the nerve to try it eventually, but until then, I’m perfectly content going snorkeling to see underwater sea life. As I’ve taken tours on numerous occasions, I’ve rounded up the best snorkeling in the Caribbean. Whether you’re seeking the best snorkeling from the beach or you’re taking a snorkeling cruise ship excursion, I’ve got you covered. Cruising is an awesome way to travel around the Caribbean. 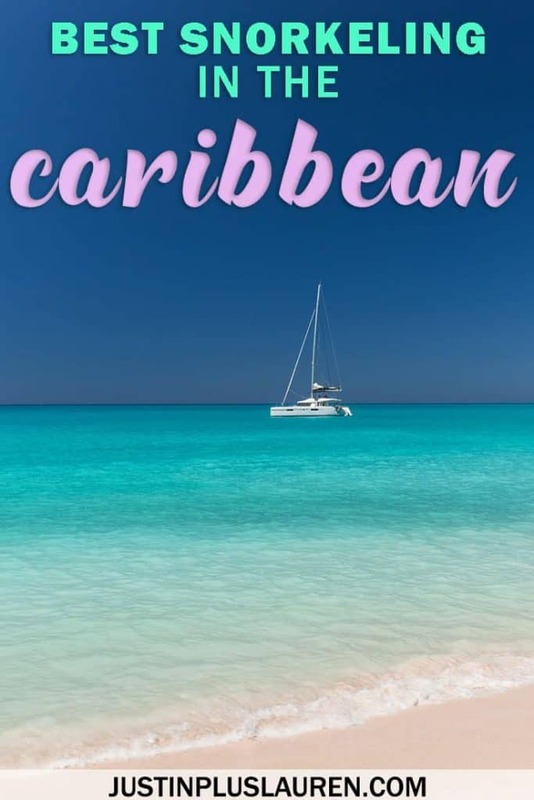 There are so many itineraries for memorable Caribbean cruise experiences where you visit numerous islands all in one trip. By taking snorkeling cruise ship tours, you can island hop with your mask and flippers in tow. It’s easy to book excursions through the cruise ship or you can always take a private tour with an independent company. We’ve done it both ways and made some wonderful memories. Without further ado, here are some islands you need to visit for the best snorkeling in the Caribbean. 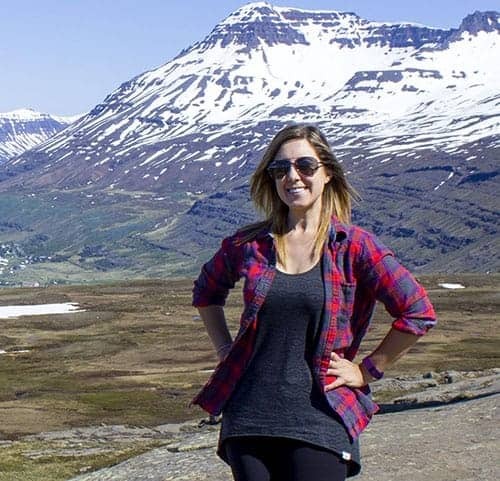 Let’s take you way, way back to the beginning stages of this travel blog and one of our first vacations together. If you don’t count a few road trips to Montreal and to the USA, this was our first holiday together on a Caribbean cruise. One of our Caribbean cruise ports was Charlotte Amalie in St. Thomas. From there, we booked a snorkeling cruise ship excursion in St. John, USVI. A tour bus took us to the ferry, which we took to St. John. 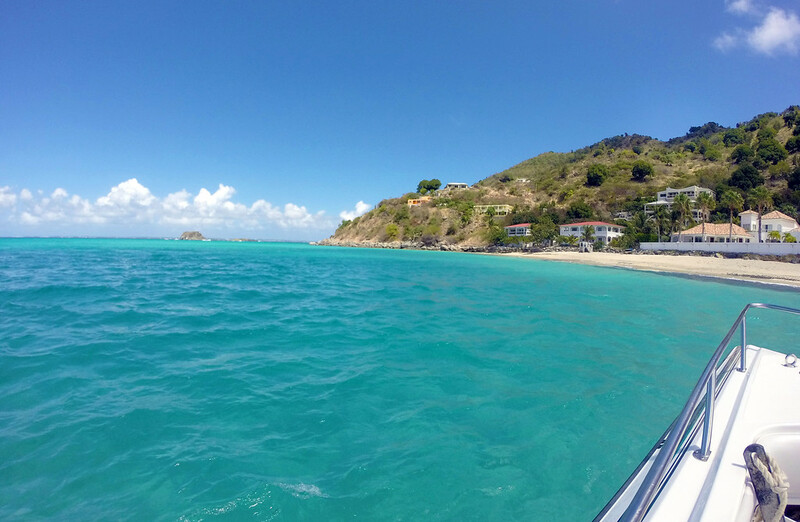 From there, a second smaller taxi transported us to Trunk Bay, only a short ride away. Trunk Bay is part of the Virgin Islands National Park and also happens to be one of the most photographed beaches in the USVI. Conde Nast named it one of the top beaches in the world. Needless to say, it’s an absolutely gorgeous island, and you can also find the best snorkeling from the beach there. It features a 225-yard-long underwater snorkeling trail with some of the most calm and clean water. You’ll see an amazing variety of fish just a short distance from the shore. 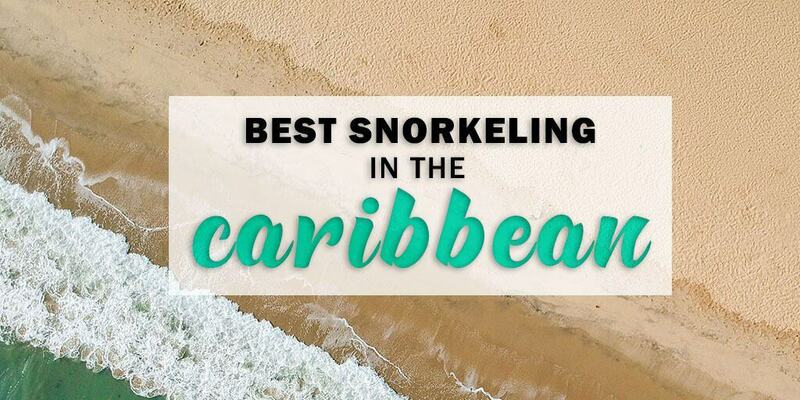 This is some of the best Caribbean snorkeling for beginners and seasoned pros. The beach itself is extremely clean, too. Even if you’re seeking a beach day, this is a phenomenal choice. Add snorkeling to the mix, and you’ve got the perfect day! 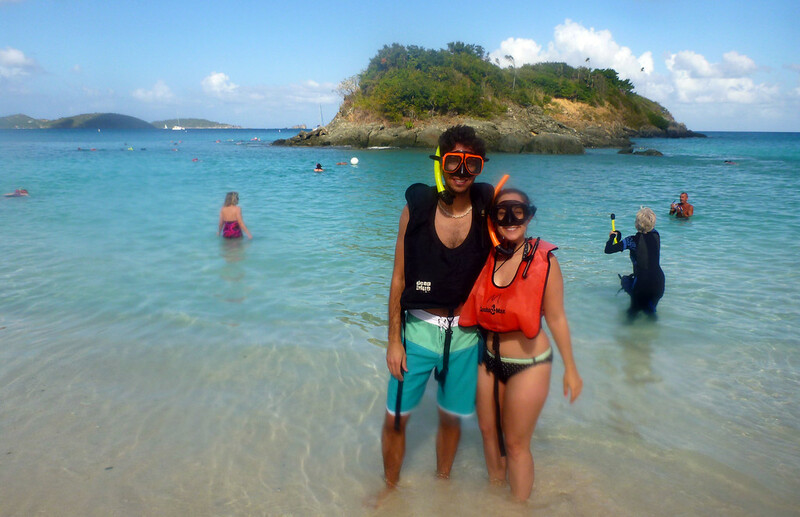 Trunk Bay in St. John is among the best snorkeling in the Caribbean islands. Where To Stay: If you’re not sailing in for the day from a cruise ship, consider staying in St. John for a holiday. There are a variety of hotels and resorts in St. John, including the Sea Shore Allure villa (with views overlooking Great Cruz Bay) and the Estate Lindholm, right inside the national park. You can also find a great selection of rental homes and rooms on Airbnb in St. John, USVI. Klein Bonaire is a small, uninhabited island off the coast of Bonaire in the southern Caribbean. While you can take a trip to Bonaire and spend at least a week snorkeling and scuba diving, it’s also a magical Caribbean cruise port to visit. We traveled to Bonaire on a cruise ship and it immediately wanted us to book a vacation to spend more time on the island (sadly, we haven’t done this yet, but hopefully soon!). Justin and I took a snorkeling cruise ship excursion to Klein Bonaire and it was one of our most memorable snorkeling trips to date. With your tour company, you’ll take a small boat or catamaran to Klein Bonaire. It’s only a short ride from the port in Bonaire. Explore the pristine coral reef, view vibrant and colorful fish, and even spot a sea turtle or two. I was fortunate enough to have a sea turtle swim right towards me. The turtle glided up from the depths of the ocean and swam right beside my face. It was such an incredible experience! With a long history of protecting sea life, the establishment of the Bonaire Marine National Park, and strict monitoring of the ecosystem, Bonaire is a leader in marine conservation. There aren’t as many tourists as other Caribbean islands, and the snorkeling groups seem to head out in smaller numbers with more supervision. Bonaire has some of the best snorkeling in the Caribbean; it’s worthy of a top place on your snorkeling and diving bucket list. Where to Stay: We’ve only visited Bonaire on a cruise ship, but there are many places to stay in Bonaire, too. Justin and I adore staying at apartments while we travel, so the One Ocean Boutique Apartments looks like a great choice. The Courtyard by Marriott Bonaire Dive Resort looks like a spectacular choice for those interested in a scuba diving trip. There are also some bright and beautiful properties for rent on Airbnb in Bonaire, too. The island of Saint Martin / Sint Maarten is half French and half Dutch. You can easily visit two countries in one day with purely tropical vibes all around. Sounds like a dream, right? St Martin is a very dreamy destination, especially for snorkeling and underwater wildlife viewing. Among the Caribbean cruise ports, you’ll find awesome opportunities for a day of sailing, snorkeling, and relaxing on the beach. I went on a tour in St. Martin from a cruise ship where we did just that. Some of the best snorkeling in Saint Martin happens over on the French side of the island. Tintemarre Island is part of the Saint Martin Nature Reserve and it’s a fantastic choice for snorkeling. Towards the east part of the island, there’s a rocky area that isn’t suitable for swimming; however, it’s home to a fish nursery where you’ll see dozens of species of fish. Creole Rock is another snorkeling spot that’s part of the marine park. Above ground, it’s a nesting site for pelicans; below the water’s surface, it’s one of the best dive sites and places to snorkel in the country. Where to Stay: You’re spoiled with choices for staying on the French side or Dutch side of Saint Martin, whether you choose a cozy Airbnb or a luxurious hotel. Once upon a time, I had a snorkeling trip booked in Roatan to Pigeon Cay. Sadly, the cruise ship never made it to Roatan due to high winds (this can happen on occasion where you miss a cruise port!). I still dream about returning to Roatan in the future for some of the best snorkeling in the Caribbean. Pigeon Cay in Roatan is an uninhabited island surrounded by calm and clear waters, perfect for viewing beautiful underwater scenery. 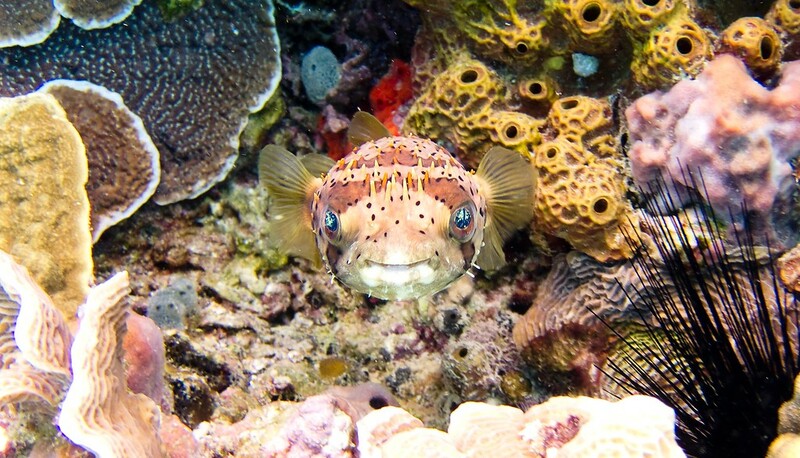 The coral reef is abundant and there are many species of juvenile fish. 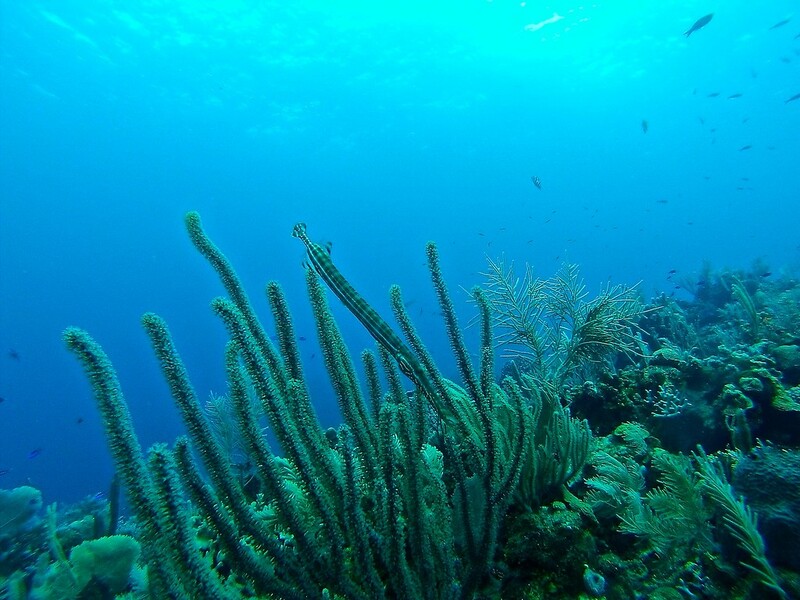 You’re guaranteed to have an exciting and brilliant day snorkeling in Roatan. Be sure to book your snorkeling tour or you can even take a snorkeling tour combined with kayaking, another activity that I love. Where to Stay: Roatan is a popular cruise port on many western Caribbean itineraries. 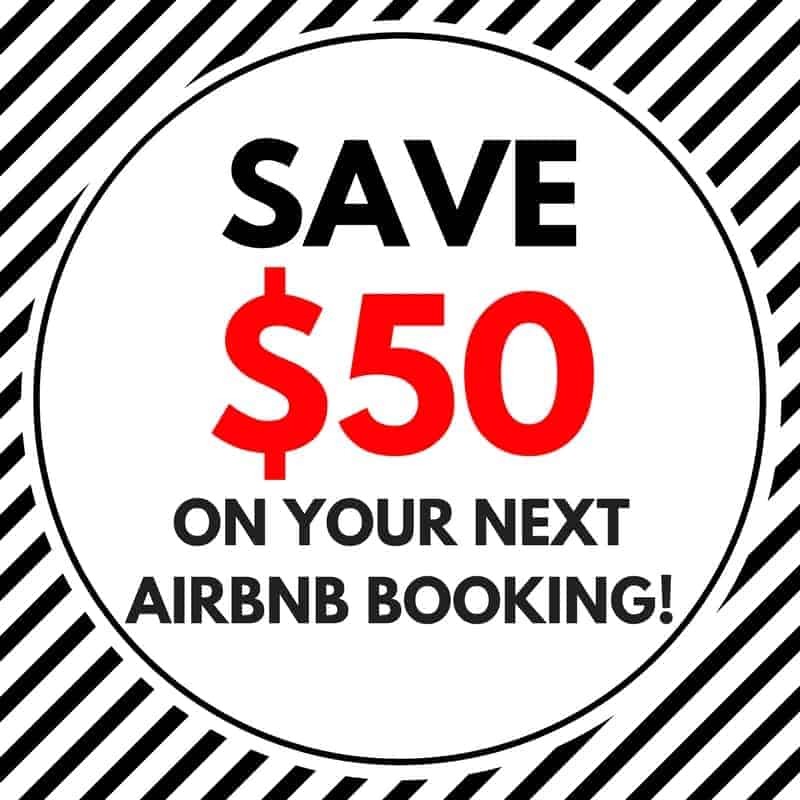 However, you can stay longer by booking a hotel in Roatan or stay at a charming Airbnb property. Dominica is known as the nature island, and it’s easily one of my favorite in the Caribbean. 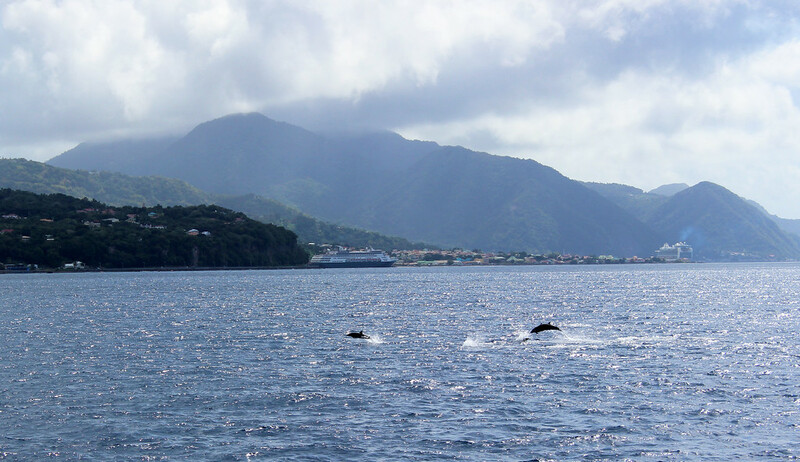 Justin and I went whale watching together for the first time in Dominica, and we also saw a pod of dolphins, too. With a variety of wildlife viewing opportunities, Dominica also has some of the best snorkeling in the Caribbean at Champagne Reef. At Champagne Reef, there are actually bubbles in the water due to the volcanic thermal springs at the bottom of the ocean. You can snorkel with seahorses, parrotfish, octopus, turtles, and eels, just to name a few. There’s a rainbow of colour in both the fish and the coral beneath the surface, waiting to be discovered. With this half day tour, you can easily take a snorkeling adventure in Dominica if you’re visiting from a cruise ship or if you’re staying for a while longer. Where to Stay: You’ll find lots of unique and eco-friendly homes on Airbnb, such as this handcrafted treehouse hideaway or this beautiful eco cottage, right in the middle of nature. For a luxurious accommodation, try the Jacoway Inn with its expansive garden or the Caribbean View Sea Side Apartments for gorgeous ocean scenery. While many cruisers and travelers will visit the bustling town of Charlotte Amalie in St. Thomas, USVI, there’s a relatively unknown place that’s perfect for outdoor adventures. Cas Cay is a deserted 15-acre tropical island, compromised of mangrove forests to the south and volcanic cliffs to the north. On a shore excursion from a cruise ship, we participated in kayaking, hiking, and snorkeling. While kayaking around Cas Cay, you can see many resident and migratory birds. Once you reach the island, we discovered that many hermit crabs live there. Another highlight on the island is the Red Point Blow Hole. A blowhole is a geologic formation in which a wave enters the mouth of a sea cave and is pushed upwards towards a cavity existing above, resulting in a powerful blast of water. The waves were crashing furiously against the cliffs and water was fiercely spraying into the air. It was a brilliant display by Mother Nature. Cas Cay also happens to be a very unique spot to explore underwater. 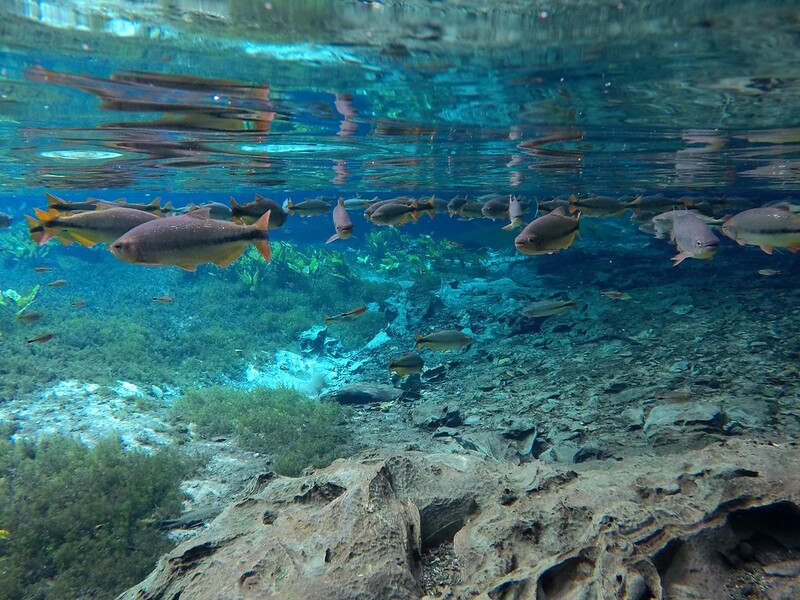 Although there are only a few coral reefs here and there in the shallow water, there are many volcanic rocks that are the best hiding spots for fish. The mangroves provide an ideal shelter for juvenile fish, too. 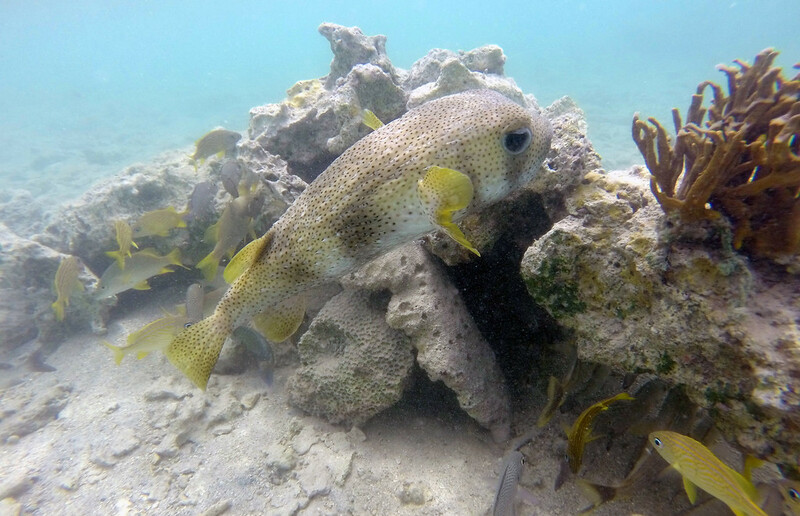 I managed to spot a massive porcupinefish, as well as a Spotted Trunkfish. Though we didn’t see any that day, others in our group saw barracudas, and on other occasions, stingrays, small sharks, and octopus have been seen at this snorkeling site. I highly recommend donning your snorkel mask and taking a tour to Cas Cay. Where to Stay: If you’re looking for places to stay in St. Thomas, you can certainly book a cute Airbnb. There are also lots of resorts and hotels around St. Thomas, USVI. There’s a Luxury Beachfront Villa on Sapphire Beach that even comes with snorkeling equipment to borrow during your trip. I’ve had some wonderful days snorkeling in the Cayman Islands, and I’m confident that you will, too! Grand Cayman is surrounded by coral reefs, and it’s possible to spot stingrays, sea turtles, nurse sharks, moray eels, parrot fish, and perhaps an octopus or two. In George Town, you can snorkel from the beach to shipwrecks, a coral reef, and a sea grotto. There are entire guides devoted to Cayman Islands snorkeling, whether it’s in Grand Cayman or Little Cayman. Where to Stay: Choose to stay in a home or apartment with Airbnb, or opt for a hotel or luxury resort. For an incredible holiday, treat yourself to a stay at the Ritz-Carlton Grand Cayman or the Westin Grand Cayman Seven Mile Beach Resort. While we explored Grand Turk by land, riding scooters all over the island, the stunning country of Turks and Caicos has fantastic snorkeling opportunities. It’s possible to book a snorkeling tour in Grand Turk for a memorable day under the sea. If you’d rather poke your head underwater close to the beach, Grand Turk has some of the best snorkeling from the beach in the west and northwest of the island. If you’re spending the day in Grand Turk from a cruise ship, check out Boaby Rock Point in the south of Grand Turk. You can set down your towel and enjoy a day at the beach. However, if it’s snorkeling you’re after, walk or swim 700 feet and 900 feet from the southernmost point for two coral reef systems in shallow water. You”l spot many different varieties of coral and species of fish. Where to Stay: There are some beautiful villas in Grand Turk to call home for your vacation. Check out Pillory Club and Villa Azul, which have high ratings and rave reviews from past guests. There are also picturesque and luxurious beachfront homes listed on Airbnb. Cozumel, off the coast of the Yucatan Peninsula in Mexico, has an abundance of incredible snorkeling and dive sites surrounding the entire island. My choice for some of the best snorkeling in the Caribbean goes to the coral reefs at the Cozumel National Coral Reef Marine Park. Cozumel has the second largest coral reef system in the world (part of the Mesoamerican Barrier Reef System), after the Great Barrier Reef. 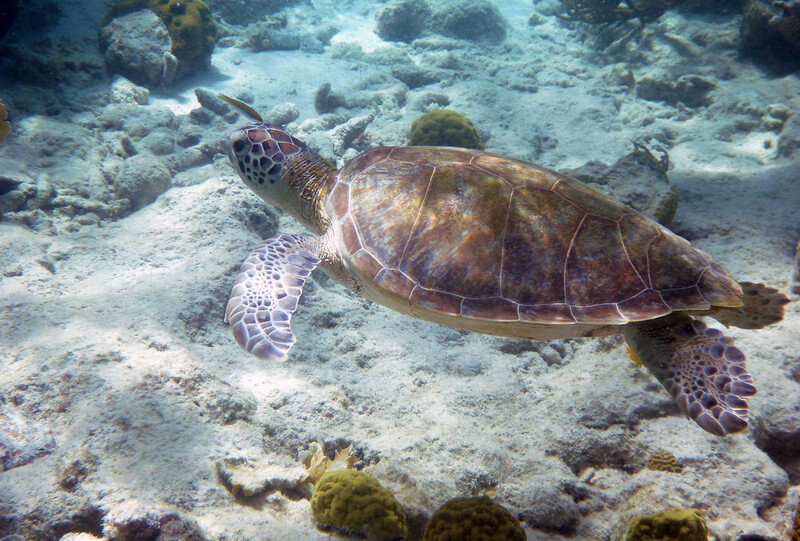 There are several species under varying degrees of protection that live at the national park, including sea turtles, the Cozumel Splendid Toadfish, and black coral. I recommend that you check out Paradise Reef, Palancar Reef, El Cielo Reef, or Parque Chankanaab (you might spot some dolphins!). Cozumel is a popular cruise port, and you can also easily visit from Playa del Carmen if you’re staying at a resort. Where to Stay: If you’re looking for a place to stay in Playa del Carmen, check out our review of the Grand Palladium Mayan Riviera, as well as our guide to Playa del Carmen. The Hol Chan Marine Reserve in Belize is also part of the second largest barrier reef system in the world. There are four zones of protected regions, encompassing 13,632 acres of marine waters. 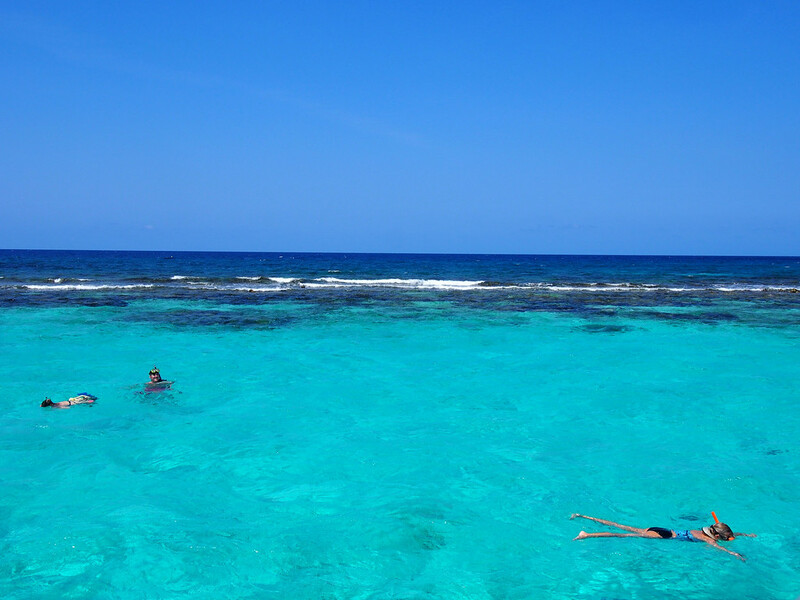 You will find the best snorkeling to the south of Ambergris Caye. It’s among the best snorkeling in the Caribbean due to the variety of marine life, including nurse sharks, sea turtles, and numerous species of colorful fish and coral. There are over 160 species of fish, 40 species of coral, and 3 species of sea turtle. Hol Chan is only a 15 minute boat ride away from San Pedro, making it extremely accessible for snorkelers and day trippers. Where to Stay: You can participate in snorkeling tours in Belize from a cruise ship. However, if you choose to travel to Belize for a longer amount of time, stay in San Pedro to be close to amazing snorkeling locations. For hotels with great value, I recommend booking your stay at the Ocean Tide Beach Resort or the SunBreeze Hotel. For the best snorkeling in the Caribbean, head to any of these islands or countries and you’re guaranteed to encounter vivid coral, a huge collection of fish, and twinkling waters. Combine your snorkeling with a beach trip, and you’ve got an extraordinary vacation in a sun destination. Never been snorkeling and curious? Check out this beginner’s guide to snorkeling to help you on your way! Have you gone snorkeling at any of these Caribbean destinations? I love this list! Personally, we’ve been to Cozumel and the Hol-chan reserve but the latter was literally incredible! Apart from the nurse sharks and turtles which was absolutely amazing, what left us day-dreaming for the rest of the week was being able to see a sea-cow!!!! Even the guide couldn’t believe his eyes! I just pinned this list! My husband and I spend a lot of time in Hawaii, and I keep telling him that he needs to snorkel in the Caribbean because the water is so much clearer. I’m hoping to get him there next year! this beautiful reef ..but i would recommend the Red Sea ….much more colors and things to see.